You can make hummus with basically any bean, and I have. Black beans make a great hummus. They have a distinct flavor and you can also switch up the styles with varying additions. This is one of my few hummus recipes in which I don’t use cumin. It just doesn’t taste right with black beans, so a couple unsuccessful attempts, I decided against the cumin! 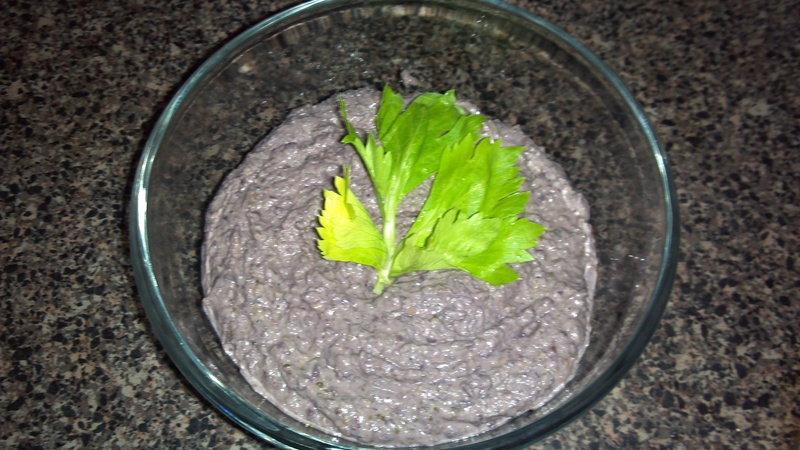 This recipe is a basic black bean hummus, and I will include some variations at the end. Blend all ingredients together in a food processor or high powered blender until creamy. If you need more liquid, use the juice from the beans to make it so. Serve with veggies or chips, or just eat it plain like I do! Southwestern Black Bean Hummus – Add about 1/4 cup roasted corn to the mix, as well as about a tbsp chopped tomato top with corn salsa and enjoy!